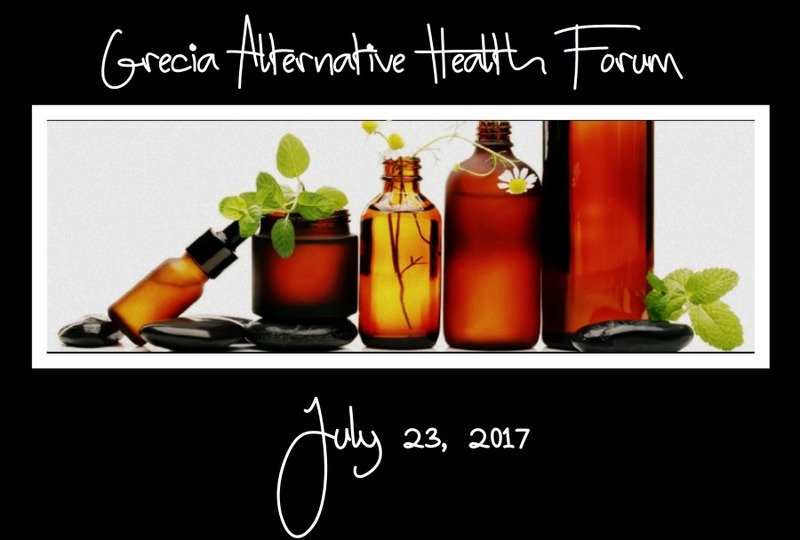 Sunday July 23 marked the 1st alternative health forum held in San Roque de Grecia and hosted by Jeanetta Owens. In general, the term “alternative therapy” refers to any health treatment not standard in Western medical practice. Technically, “alternative” treatments are used in place of conventional medicine; when used alongside standard medical practices, alternative approaches are referred to as “complementary” medicine. Purpose - The forum (which will be held on a monthly basis - subject to change based on participation) is an opportunity for expats and the local community to connect with others and share knowledge, experience and products to help improve overall health through alternative practices. As we get older we instinctively begin to pay more attention to our health, but why put it off ? Begin today no matter what your age and live a healthy happy life -- 40, 50, 60, 70 and beyond! If you are interested in attending one of our forums or would like to be a speaker or have products, services or advice to share please leave me a comment or email me at urbandoggs@ gmail.com or for questions and/or reservations please call Jeanetta at 506 2494 0970 CR or 786 363 9036 US. Hope to see you at the next forum! Alternative Health Forum from Devon on Vimeo.